About 96 percent of seniors report that they want to live in their homes as long as possible. A medical alert system can allow you to keep your independence while staying safe. Knowing which features are important to you can help you choose the right medical alert system. Here are 10 medical alert device features to keep in mind when choosing a system. Water-resistant device. Slips and falls are common in the shower, tub, and bathroom in general. In fact, 80 percent of seniors who fall in their homes fall in the bathroom. This means a medical alert system with a water-resistant device is a crucial part of your safety and independence as you age. An ideal device will be 100 percent waterproof, but should be water-resistant at the very least to offer you optimal protection in the bathroom. Automatic fall detection. Sixty-five percent of seniors fall in their homes each year. If you fall, weakness or injury could prevent you from getting back up. Automatic fall detection is a relatively new feature of medical alert systems, but it’s quickly becoming a must-have feature. Some providers have automatic fall detection built in with each system, while others allow you to add it on for an extra charge. Devices with this feature have a 95 percent accuracy rate and ensure you won’t be left waiting for help. 24/7 assistance. The best medical alert provider will have a medically-trained staff ready to help you within seconds no matter the time of day or night. It takes an ambulance an average of eight minutes to respond to an emergency. Having access to a live person 24/7 can make all the difference when you’re waiting for help. Two-way voice. Two-way voice capability is one of the most important features a medical alert device can have. Two-way voice allows for hands-free communication with a trained dispatcher if you’re incapacitated. The dispatcher will gather details about the event, call the appropriate people or services, and help put the user at ease until help arrives. No long-term contracts. Some medical alert providers have mandatory contracts that can last as long as three years. Most companies offer flexible month-to-month options, but they’re often more expensive. Look for a medical alert provider that offers several options, including an affordable month-to-month option. GPS. Some medical conditions like Alzheimer’s and dementia can make it hard for seniors to remember where they are if they become disoriented. Seniors today are on the go and more mobile than ever, making GPS an important feature of a medical alert device. GPS technology can help you pinpoint your loved one within a few feet should they become lost. Long battery life. The battery life of your device can be a matter of life or death. If you have to constantly recharge your device, you may forget to put it back on or avoid charging it as often as you should. Most medical alert systems come with wearable devices that can be worn for a week or a month without a recharge, but others need to be recharged almost daily. The base unit should have a long battery life as well in case of a power outage. Sufficient range. Your medical alert device should be able to pick up a signal no matter where you are in your home. Some systems work on a cellular system, meaning you’ll have a signal wherever there’s cell phone coverage. Other systems are landline-based and only work within the home. The range for landline-based systems usually reaches between 400 and 1,000 feet. If you’re in a larger home, make sure you compare the system’s range with the square footage of your home. Comfortable, discreet device. If your device is uncomfortable to wear, you probably won’t. Additionally, you may not want people to know you use a medical alert device due to unfair stigma. If you neglect to wear it because it’s uncomfortable or bulky, it can’t protect you and send help when you need it. Easy-to-use device. If you don’t understand how your device works, you won’t be able to use it when you’re in an emergency and distressed. Look for one with technology you understand so you won’t waste precious time. 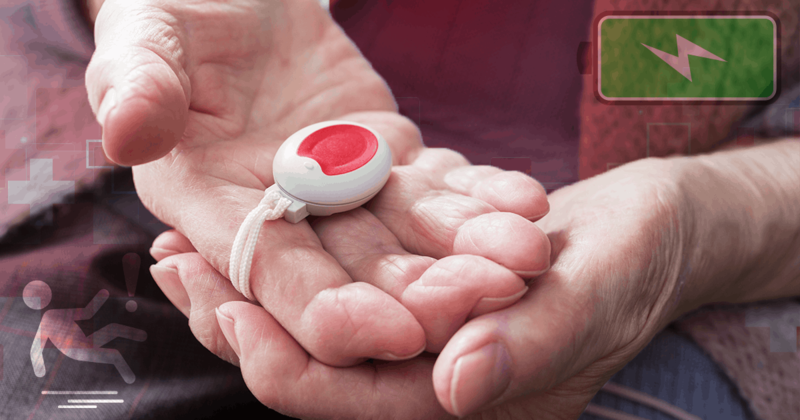 Many seniors opt for the fool-proof, single button option that can easily be used during an emergency. When searching for a medical alert system, pay attention to all of the features included in each model so you can be sure to choose the one that’s right for you. 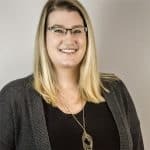 Kayla Pearce is a Content Developer at Med-Alert Pros in Memphis, TN. She has backgrounds in professional and creative writing and over a decade of experience in research and editing. She is deeply interested in literature, poetry, cats, and dessert.